A grizzly bear in Yellowstone National Park. 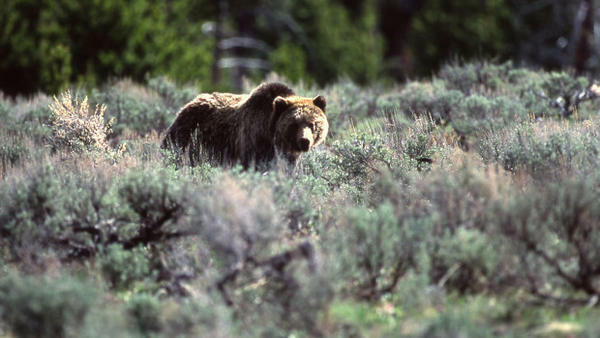 The National Park Service is evaluating whether to reintroduce grizzly bears to Washington's North Cascades. The Trump administration is suspending efforts to bolster the grizzly bear population in Washington's North Cascades. That would leave this part of the mountain range with fewer than ten of the imperiled bears. Recovery efforts have been underway for years, with a goal of reintroducing up to 200 grizzly bears. The North Cascades National Park Superintendent told a meeting in Montana last week that the Interior Department is halting the program, according to the Missoulian newspaper. Conservation Northwest spokesman Chase Gunnell said the order to stop work is disappointing. “We’re concerned if that is put on indefinite hold because these bears cannot wait indefinitely,” Gunnell said. The Interior Department's press office did not return requests for comment about the order to stop work on the plan. The federal government has been reviewing the nearly 127,000 comments submitted on its proposal to bring back the bears to the region. One option suggested to do nothing — which biologists have said could lead to the bear’s extinction in the North Cascades. 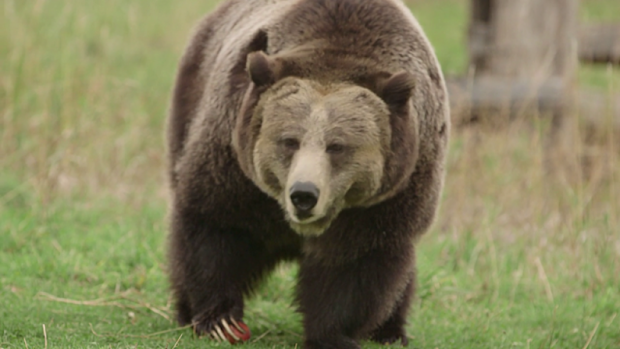 Three other options looked at different ways to bring grizzly bears in from British Columbia and Montana. Those options could take up to a century to reach 200 grizzlies in the region. Conservationists have been pushing to bring the bears back to the rugged terrain. But some people who live on the forest edges adamantly opposed reintroduction efforts, including ranchers who worried about adding another large predator to the landscape. At one time, grizzly bears roamed throughout the West. Just in Washington's North Cascades there were thousands of them. But since the 1800s, their population has plummeted, due to excessive hunting and the fragmentation of habitat. Biologists say the isolated parts of the North Cascades remain great bear habitat. “These bears have been waiting for more than 20 years, and the population can’t wait that much longer,” Gunnell said.